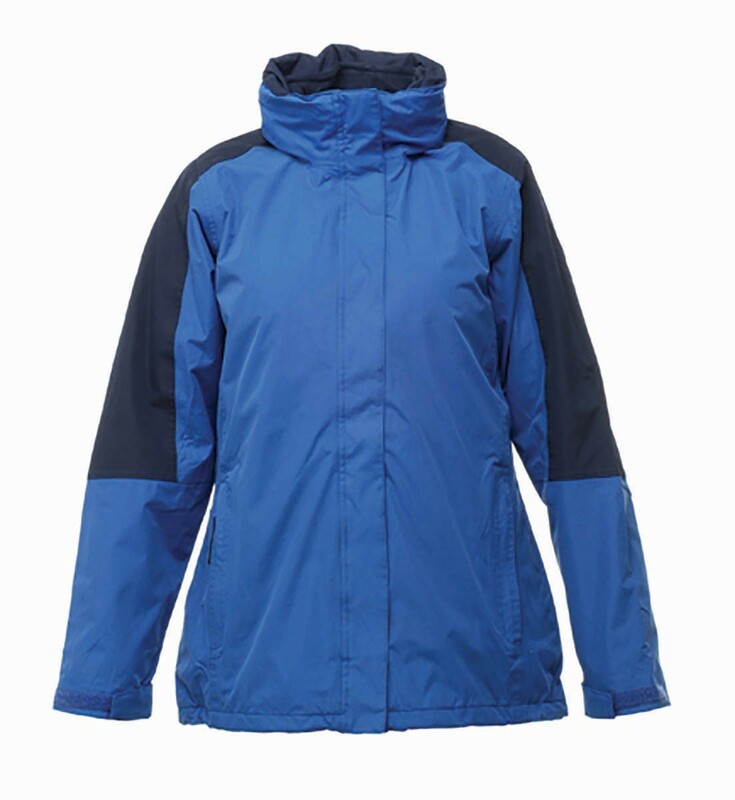 Waterproof outer and removable fleece inner - a women's 3-In-1 from Regatta Professional. Based on a logo up to 8000 stitches. Based on a single colour print. Jackets, trousers and coveralls. Total height 176-184 cm. This table shows the size group Regular for coveralls. Trousers and coveralls. Total height 184-192 cm. This table shows the size group Tall for coveralls. Trousers and bib’n’brace. Total height 192-200 cm. Trousers and coveralls. Total height 168-176 cm. This table shows the size group Short for coveralls. Please see product specific guides on each product page. Please see size guide image to left of text on product page. 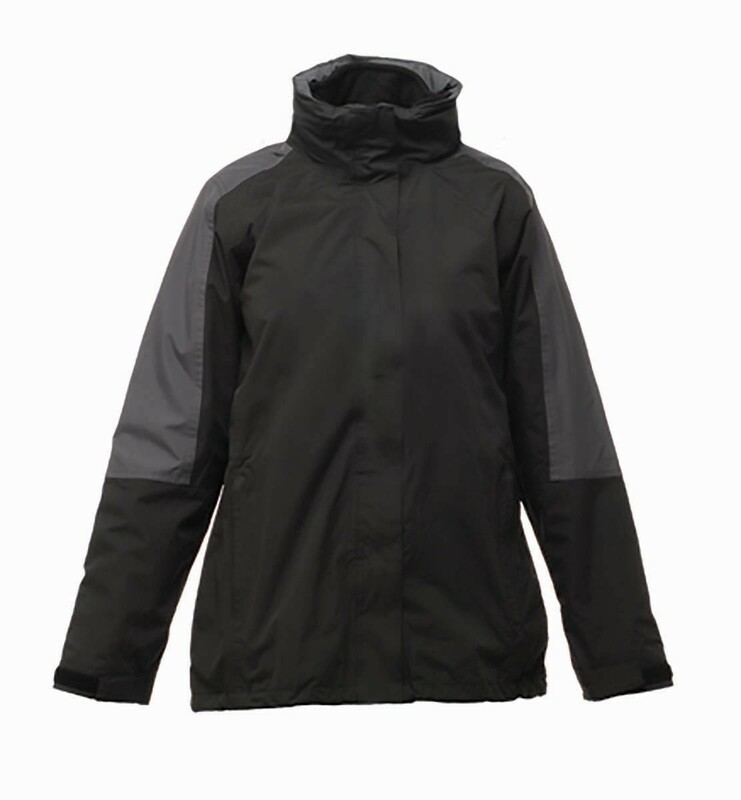 The TRA132 Defender III Jacket from Regatta Professional has a waterproof and windproof Hydrafort peached polyester outer with polyamide lining. The inner is 250 series Symmetry fleece. 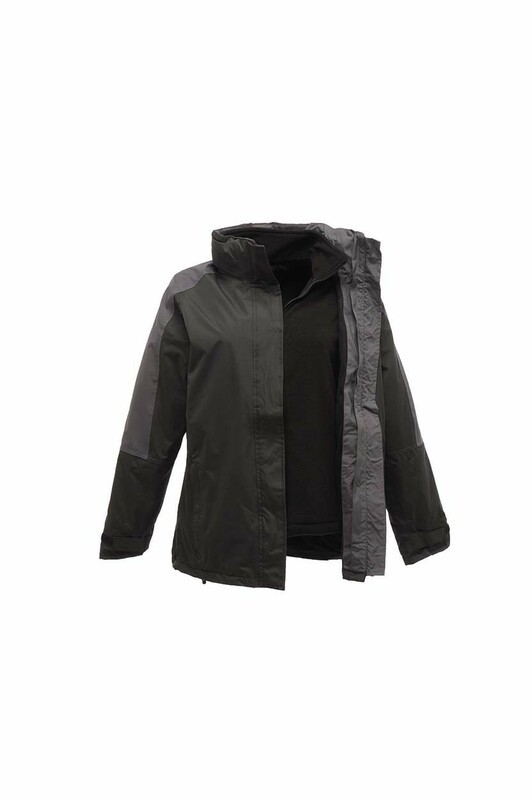 The outer has: Concealed hood with adjuster. Studded double stormflap and drain channel. Velcro adjustable cuffs. 2 lower pockets. Adjustable shockcord waist and hem. Concealed map pocket in stormflap. 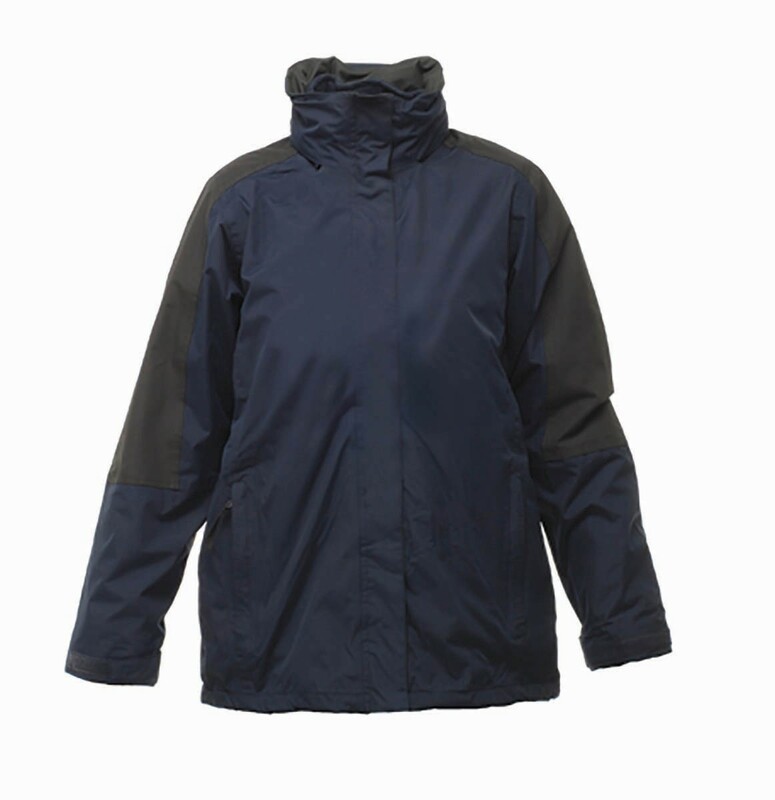 The fleece has two lower pockets and a shockcord hem. Matches the mens Defender III 3-In-1 Jacket (TRA130) but in a shaped ladies fit.